« How to setup a JDBC driver using .sbo Extensions Parameter in SAP BusinessObjects server and client. If you want to connect IDT(Information Design Tool) to reporting data sources using JDBC you need a .jar file for that relational database. 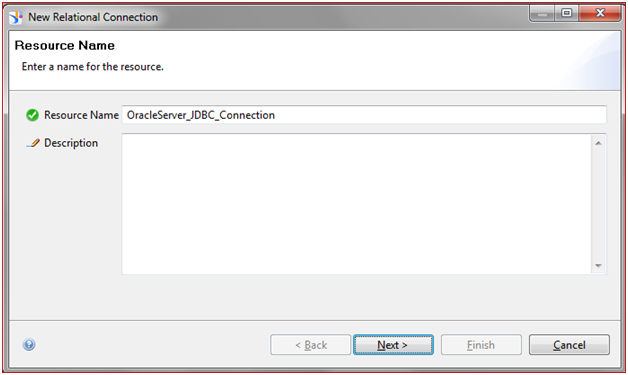 Here in this example, I am going to show you how to connect to ORACLE database 11g and SQL Server 2008 databases. 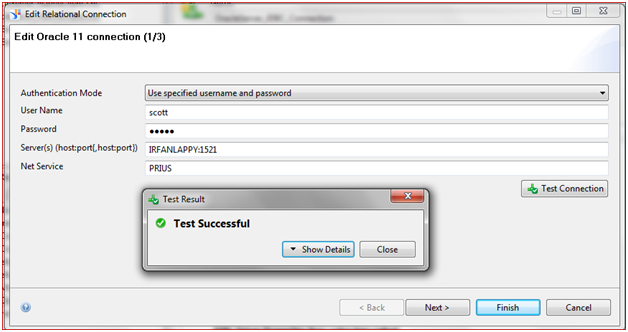 First make sure you have the middle ware /client software installed on the machine where you are using IDT. Also every database vendor will provide their own JDBC connectivity driver software to connect to their databases or you can write your own class definition and use it. 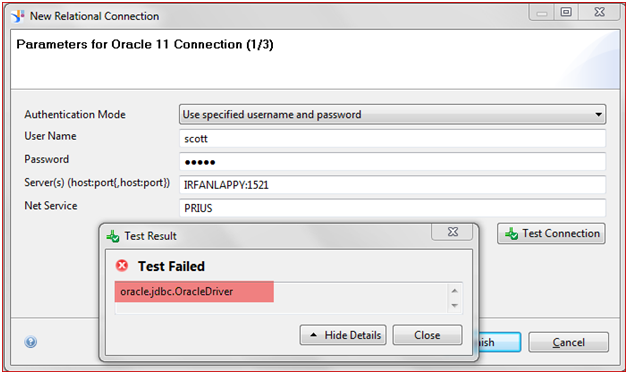 1) Lets create a new relational connection in IDT to connect to Oracle using JDBC drivers. If you don’t find ojdbc14.jar(required for oracle 11g) then you can download directly from www.oracle.com for the version you need. 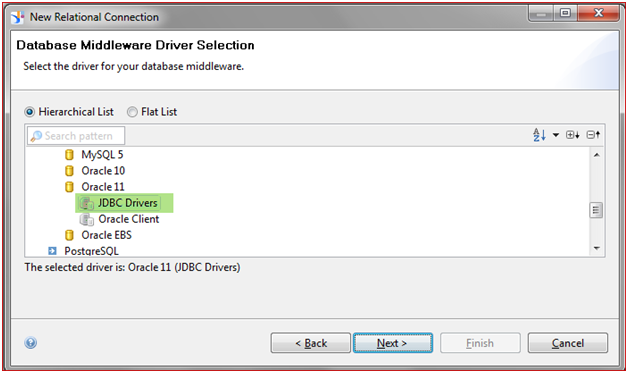 2) Give it a name and click Next, Select the database middleware driver, Oracle 11.
in the said path then create it and save the .jar file under it. 5) Restart IDT and try creating the JDBC connection again, It should be successful and hence we resolved the error. Similarly trying to connect to SQL Server 2008 using IDT throws an error shown below. 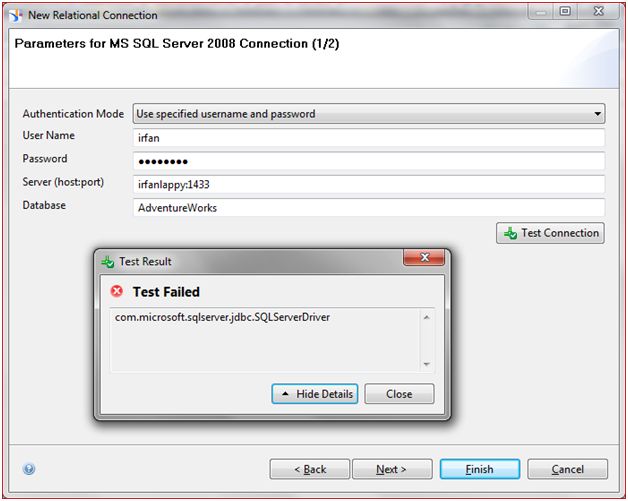 To resolve the error, download the latest jdbc driver for SQL Server 2008 from Microsoft website (http://www.microsoft.com/en-us/download/details.aspx?id=11774) , As of this writing the file available from microsoft is “sqljdbc_4.0.2206.100_enu.exe”, extract this file to a temp folder on your machine and copy sqljdbc4.jar to the following folder: <install folder>\SAP BusinessObjects Enterprise XI 4.0\dataAccess\connectionServer\jdbc\drivers\sqlsrv2008. 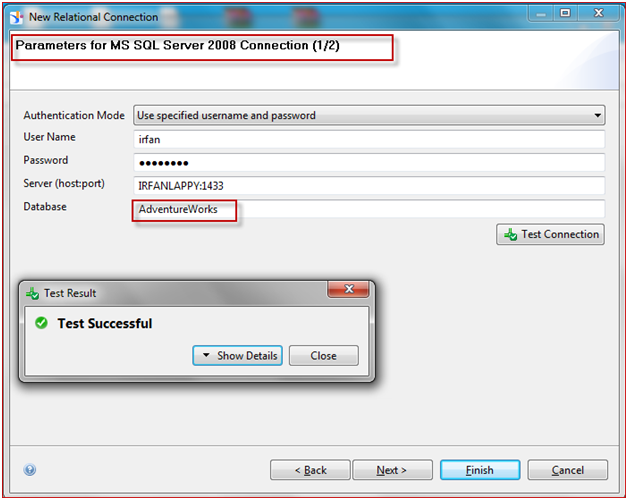 After saving the sqljdbc4.jar in the right folder, try to create a new JDBC connection to connect to SQL Server 2008 using IDT the connection was successful. One last thing I would like to bring is that most of jdbc connectivity errors will be resolved if the classes or jar files are found in the path environment variable. That is all for today.